For decades in art circles it was either a rumour or a joke, but now it is confirmed as a fact. 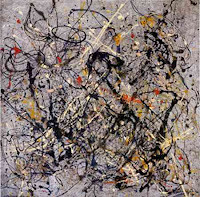 The Central Intelligence Agency used American modern art - including the works of such artists as Jackson Pollock, Robert Motherwell, Willem de Kooning and Mark Rothko - as a weapon in the Cold War. 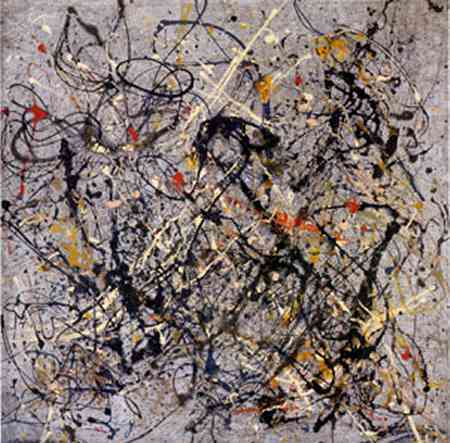 In the manner of a Renaissance prince - except that it acted secretly - the CIA fostered and promoted American Abstract Expressionist painting around the world for more than 20 years. The connection is improbable. This was a period, in the 1950s and 1960s, when the great majority of Americans disliked or even despised modern art - President Truman summed up the popular view when he said: "If that's art, then I'm a Hottentot." As for the artists themselves, many were ex-communists barely acceptable in the America of the McCarthyite era, and certainly not the sort of people normally likely to receive US government backing. Why did the CIA support them? Because in the propaganda war with the Soviet Union, this new artistic movement could be held up as proof of the creativity, the intellectual freedom, and the cultural power of the US. Russian art, strapped into the communist ideological straitjacket, could not compete. The existence of this policy, rumoured and disputed for many years, has now been confirmed for the first time by former CIA officials. Unknown to the artists, the new American art was secretly promoted under a policy known as the "long leash" - arrangements similar in some ways to the indirect CIA backing of the journal Encounter, edited by Stephen Spender. The decision to include culture and art in the US Cold War arsenal was taken as soon as the CIA was founded in 1947. Dismayed at the appeal communism still had for many intellectuals and artists in the West, the new agency set up a division, the Propaganda Assets Inventory, which at its peak could influence more than 800 newspapers, magazines and public information organisations. They joked that it was like a Wurlitzer jukebox: when the CIA pushed a button it could hear whatever tune it wanted playing across the world. Don't people realize clowns are scary?